Following the allegation of Acting Central Jakarta Mayor Rustam Effendi who said Tanah Abang Fire Department Office used as location to store street vendors’ wares, Head of Central Jakarta Fire and Disaster Handling Sub-Department, Rahmat Kristantio, denies it.
" 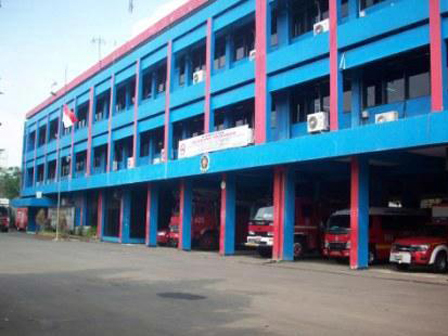 Tanah Abang Fire Department Office is not used as location to store street vendors’ wares. The incident happened yesterday was actually the initiatives of street vendors who were hiding to avoid the raid"
“Tanah Abang Fire Department Office is not used as location to store street vendors’ wares. The incident happened yesterday was actually the initiatives of street vendors who were hiding to avoid the raid. So, our office did not provide space to accommodate street vendors. I’ve come to that office often, sometimes in a sudden and sometimes based on schedule, and I never see street vendors’ wares there,” stated Kristantio, Friday (7/18). Even so, Kristantio promised will do investigation to answer Effendi’s allegation. “I will punish my men who abused power in doing their duties. If my men were cheating, of course we’ll take action and give strict sanction,” he asserted. As previously reported, control against street vendors in Tanah Abang, Central Jakarta, Thursday (7/17), did not only cause fistfights between the officers and street vendors, but also marred with arguments between Acting Central Jakarta Mayor Rustam Effendi and Head of Tanah Abang Fire Department Office A Yuliadi. The reason is because Yuliadi was alleged has accommodated the street vendors in his office. According to Effendi, control against street vendors as well as illegal parking in Tanah Abang area will never be effective without supports from all parties, including firefighters in the location.